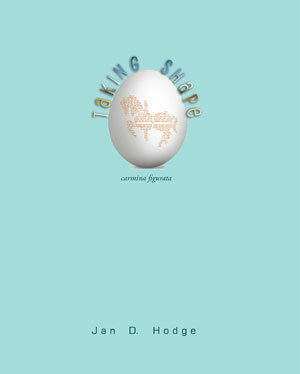 Full-length collection of original poetry from Jan D. Hodge, now available for pre-order from Able Muse Press, Amazon, Barnes and Noble, Foyles, and other online and offline bookstores worldwide. 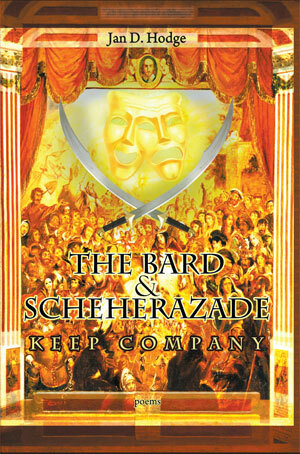 Able Muse Press has announced the publication of my second book, The Bard & Scheherazade Keep Company, a collection of double dactyl renderings of many of Shakespeare's plays, tales from the Arabian Nights, and the medieval folk epic Reynard the Fox. To read critical responses to the volume, click on "Bard & Scheherazade" link above. Jan D. Hodge surely creates the best shaped poems anybody has done [in a long while], and some of them, like “Pandanggo sa Ilaw” and “Carousel II,” have called forth more ingenuity than even Herbert’s “Easter Wings.” Best of all, Hodge doesn’t stop at ingenuity, but can write good poems. Having grown up in a letterpress print shop in small town Michigan, Jan D. Hodge received his BA and MA degrees from the University of Michigan and his PhD from the University of New Mexico, where he wrote his dissertation on Charles Dickens. . . .